to register for classes. We have them available at the dojo for you as well. Multiple instructors are available for weekly/monthly private lessons for students that need some extra time to perfect their technique. In house tournaments are offered every year in kickboxing, submission grappling, weapons sparring and forms demonstration. 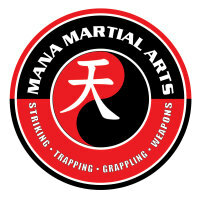 Mana Martial Arts participates in and facilitates multiple self defense seminars per year. 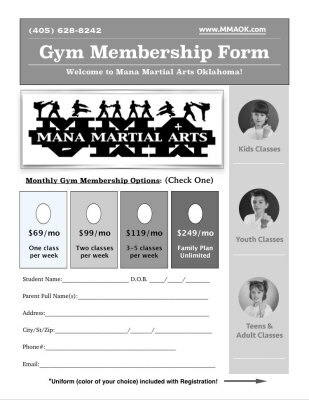 We are also involved in the Edmond school system teaching anti- bullying to youth. 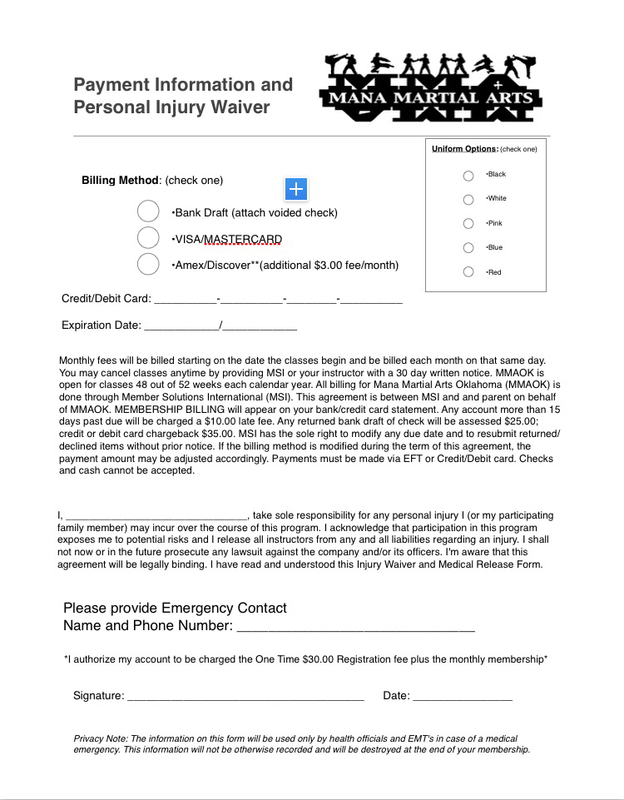 Our program offers free field days in the park, marches in local parades, runs annual food drives and provides self-defense training to special needs students of all ages..
We put on the best ninja birthday parties ever at our very own dojo. Reserve a 2.5 hour spot with our team and enjoy yourself!